For those pursuing M.Sc. Nursing, here are some of the pre-requisites one has to go through before taking the final call. One needs to know as to what are the eligibility criteria, dates of registration, counselling, exams as also the dates of declaration of the results. Mantram Nursing Academy in Chandigarh helps you to rundown of the entire gamut of M.Sc Nursing Entrance Exam and also provides you the Entrance Coaching Classes to get the admission in best colleges and universities offering M.Sc Nursing course. All the top-rung universities and institutes of the country, including PGIMER, AIIMS, JIPMER, CMC, BHU, IGMC (Shimla), Baba Farid University of Medical Sciences, Punjab and Pt B.D. Sharma Universities and others conduct the national-level exams for Entrance to M. Sc. Nursing in the months June and July, every year, as per their prescribed norms as approved the apex body – Indian Nursing Council (INC). The results are declared within a month or so. The candidate applying for M.Sc Nursing Entrance Exam must have passed B. Sc. Nursing/ Post Basic from an institute duly recognized by INC with 55% in aggregate. The candidate must have a minimum of one-year working experience after registration as registered nurse/ midwife with any public health nursing/ educational nursing institutes (a minimum of any 100-bedded hospital in case of private hospitals) duly recognized the INC. Must be a registered nurse/midwife, duly approved by INC or substitute registration in the case of male candidates, etc. 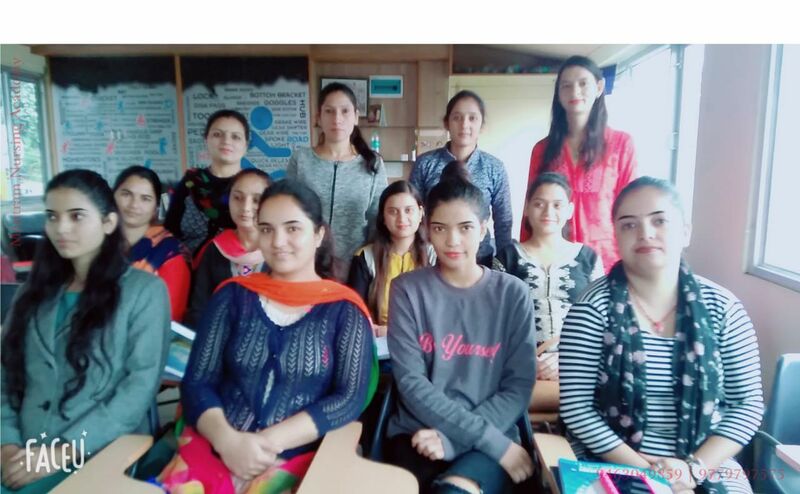 When it comes to expert coaching for M.Sc Nursing Entrance coaching in Chandigarh, there is the one and only trusted name – Mantram Nursing Academy, which is engaged, heart and soul, in providing specialized coaching under the supervision of an experts with years’ of rich experience to credit. The star academy offers a conducive study environment, infrastructure and high-end facilities, besides offering specialized teaching modules that have made it a one-stop nursing coaching destination in the northern part of the country. Mantram Nursing Academy, centrally located in the city, is offering an expert coaching for M.Sc. Nursing Entrance for PGIMER, AIIMS, JIPMER, BHU, IGMC (Shimla), BFUHS (Baba Farid University of Medical Sciences, Punjab) and Pt B.D. Sharma Universities, et al. It has an erudite team of highly competent professionals with ample experience to credit. The academy is committed to the highest standards of academic excellence and holistic growth of those opting for. When it comes to imparting coaching for M.Sc. Nursing Entrance, Mantram Nursing Academy is a trusted name, which has a clean track record of achievements and accolades it has earned for its excellent work in the field. The institute is not essentially driven by a mere profit motive but has a mission cut-out to cater to the career concerns of the aspirants. The academy provides the students with the relevant study material, even books by well-known authors, the interview preparation essentials through a special monthly news bulletin offering updates on the upcoming entrance exams/results/ vacancies, et al, keeping them updated.